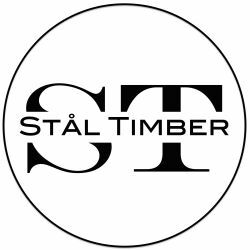 "Handcrafted Steel and Timber Furniture"
“Stål Timber” is Norwegian for Steel and Wood; and to put it in a nutshell, we love both. We strive to create modern influenced custom furniture and fixtures that fit in virtually any home or commercial environment. Sometimes industrial, sometimes very modern, sometimes rustic; we love to collaborate with our clients and their designers to come up with pieces that add a conversational focal point to their projects. Stål Timber works with Residential, Restaurant, and Retail / Office environments.